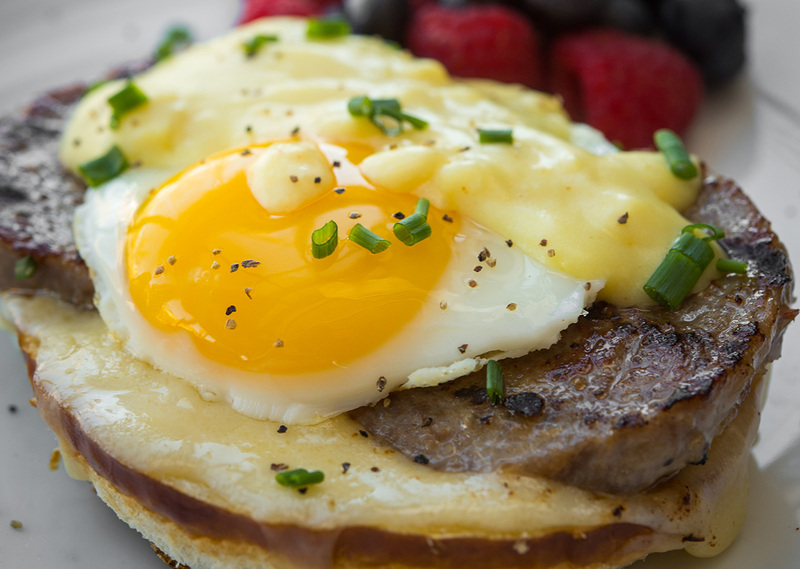 Try this easy-to-make sammy and have breakfast for four ready in just 20 minutes! Substitute scrambled eggs for fried eggs, if desired. Place buns cut side up on grill plate and cook on HIGH Broil for 3-4 minutes until toasted. Place sliced cheese on each bun and cook on HIGH Broil for additional 2-3 minutes, or until cheese is melted. Turn Grill & Broil off and allow to cool. Attach upper grill plate. Preheat Grill & Broil at 400°F. Place breakfast sausages on grill and grill for 5-6 minutes. Meanwhile, place egg yolks, lemon juice, salt, garlic, paprika and yogurt in blender. Blend on lowest speed for about 1 minute to combine. While blender is running, slowly drizzle melted butter into Hollandaise mixture. Blend for 45-50 more seconds until sauce thickens. Top each sandwich with two sausage patties and one fried egg. 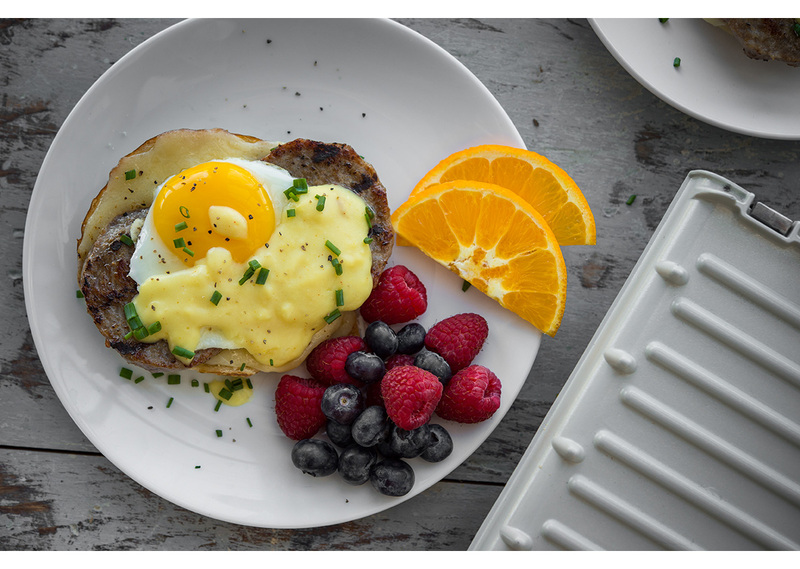 Top with Hollandaise sauce and enjoy. Tip: Scrambled eggs are also a great choice for topping the cheesy pretzel bun.